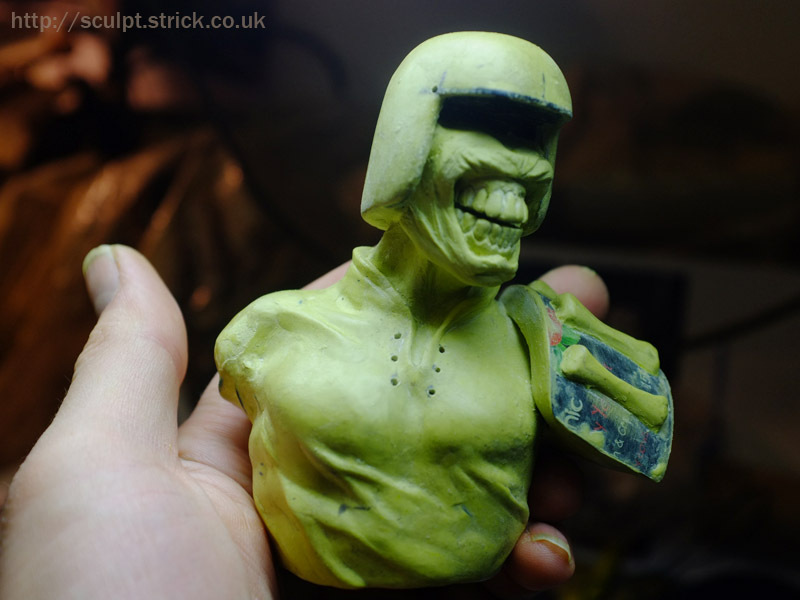 A 1:6 scale bust sculpted in my preferred 'standard' grade Milliput over a wire armature. 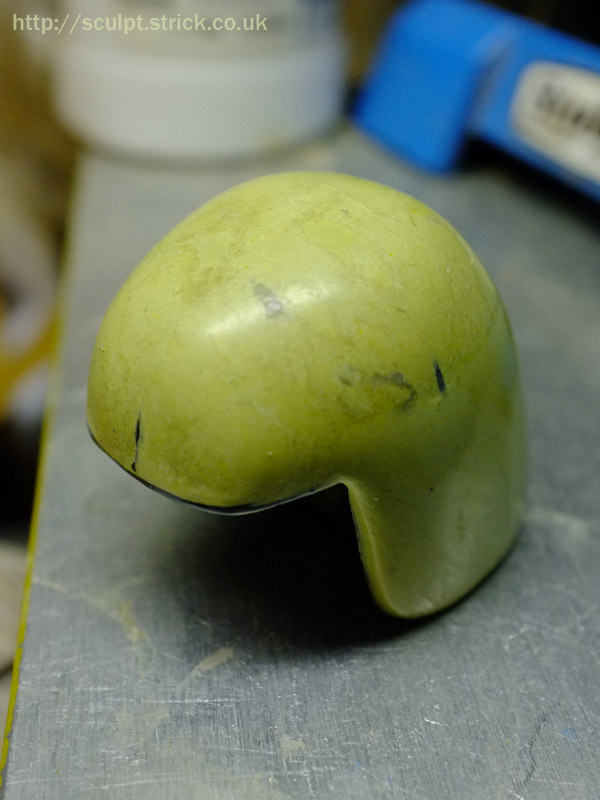 To help make sure the helmet was symmetrical and regular, I made a simple former for it from styrene sheet. I then built over that in Milliput. 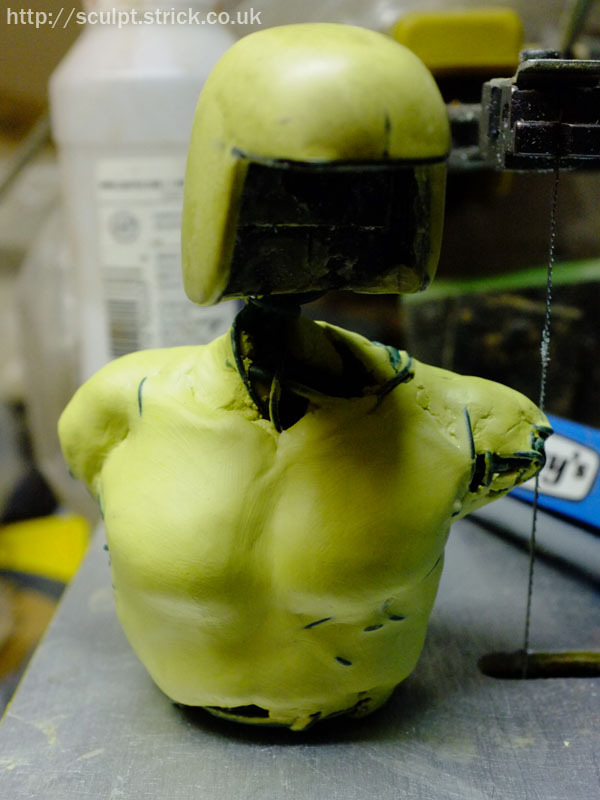 Once the basic helmet shape was cured, I drilled holes in it to accept some wire where the neck would be and extended that into a rough armature for the body. 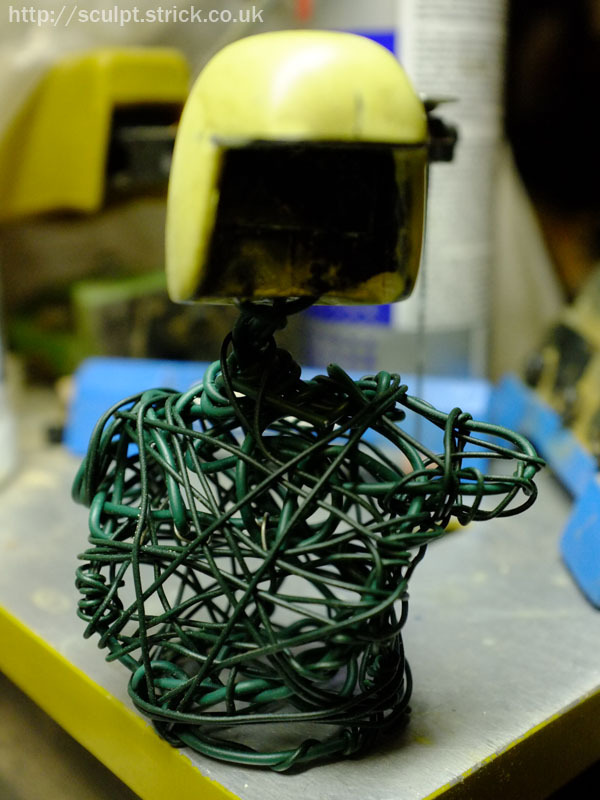 Once I was happy with the approximate shape, I refined it using finer wire until I had a complete understructure for the torso. I blocked in the overall shape with Milliput. 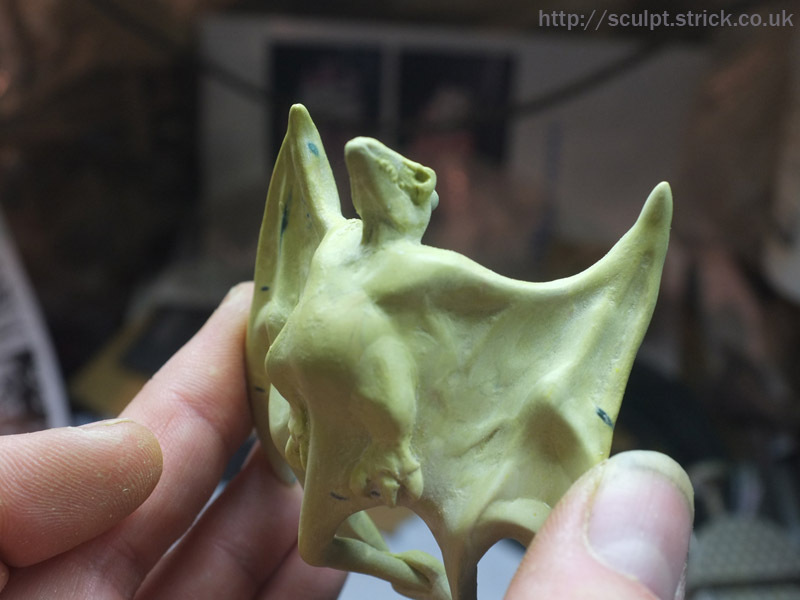 When that was dry, I had a very solid base for the rest of my sculpt. I loosely formed the face and neck and started adding some finer texture to the body. I found a plastic pot that had exactly the curve I wanted for the shoulder pad and built that into the sculpt. I then added bones, opting for a slightly more naturalistic look than the slightly cartoony bones usually pictured on Death's shoulder. The teeth were carved out of the fully-cured Milliput using a scalpel. 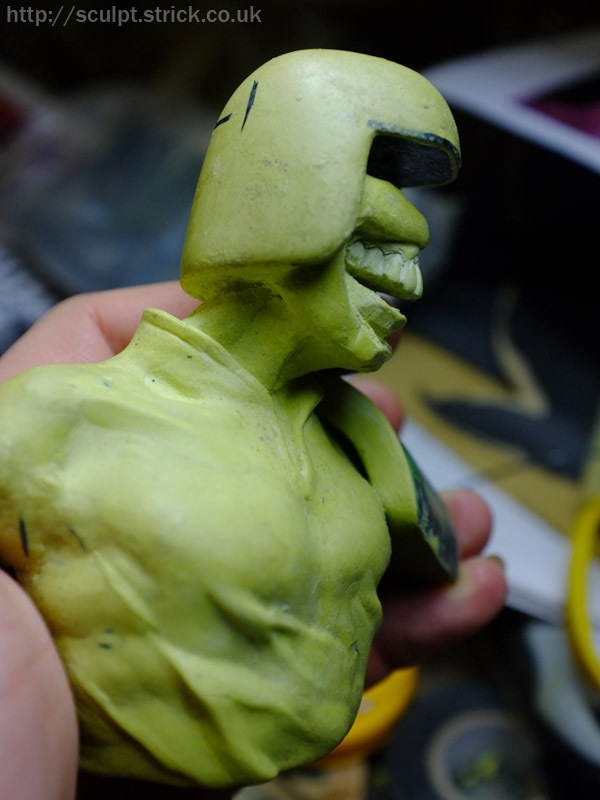 I then sculpted the rest of the facial detail around that in a fresh layer of Milliput. Like Dredd, the upper part of Death's face is never seen, so I decided to leave the area behind the grille completely hollow. The right shoulder sports a strange bony-winged pterosaur-like creature in place of the Mega City eagle. 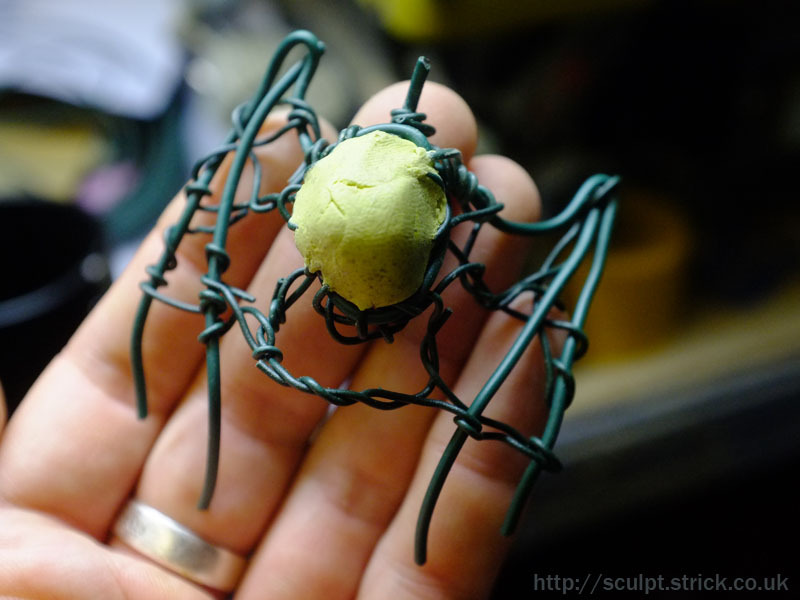 I built a wire armature for this and sculpted it as a stand-alone piece that was glued into place after painting. 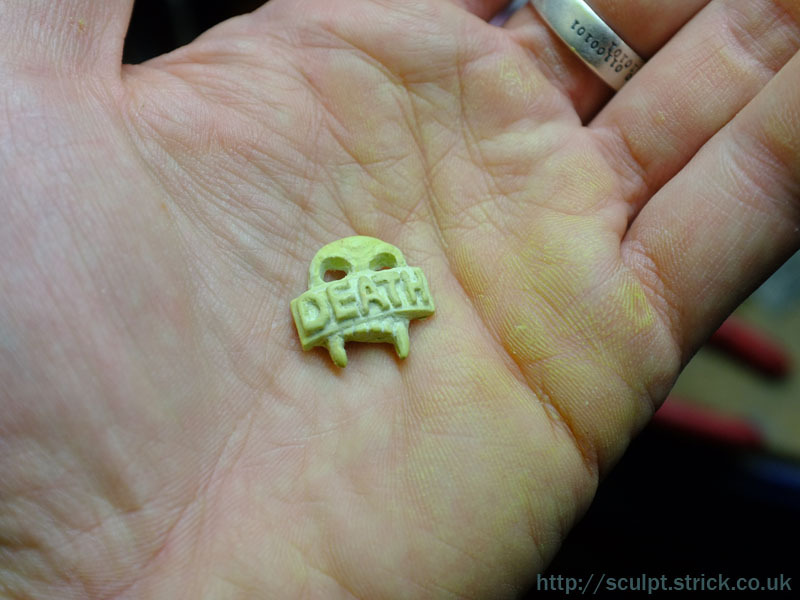 The badge was also sculpted separately in Milliput. 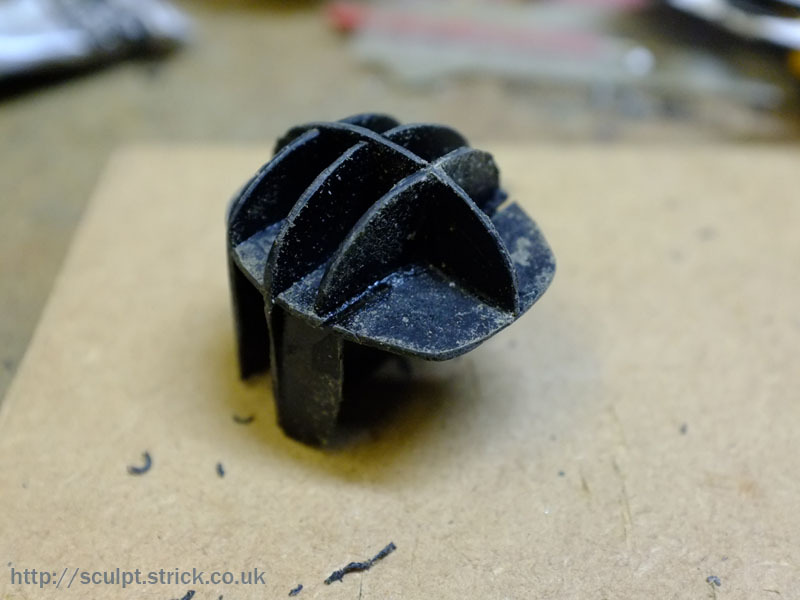 The helmet grille was made from styrene sheet, heated to give it a gentle curve. The figure was painted with acrylics. I decided to go for a subtle tint rather than the full-on green skin often seen on the character. It's not clear what the shoulder pieces are made from - bone, fossilised flesh or metal like the judges' armour. I decided to keep them simple with minimum texture so that the face would remain the centre of attention. I gave some slight weathering to the helmet and badge, suggesting that they had seen better days. 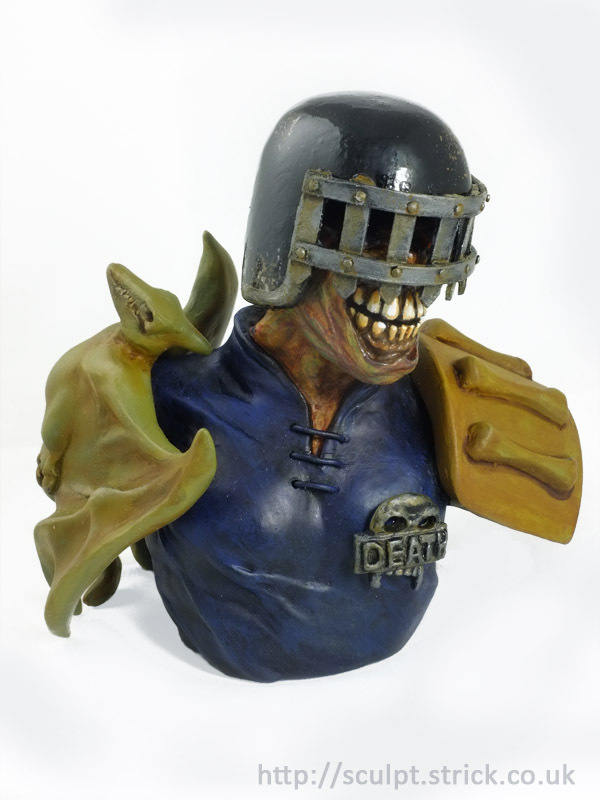 More pictures of the completed bust are here.